St. James’s Hospital is the largest teaching university hospital in Dublin. The establishment recently underwent a renovation / expansion of the facilities in their large city centre campus in Dublin 8. The project comprised a fit-out of several existing sections of St. James’s Hospital to allow for them to be repurposed as alternative departments. 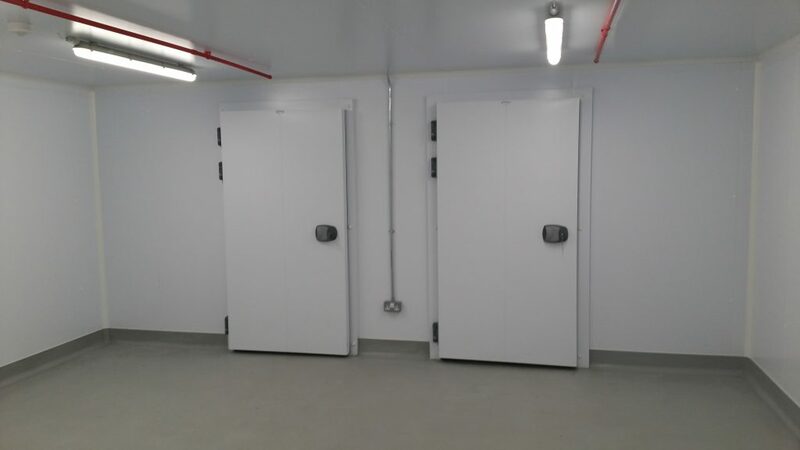 The chill and freezer rooms in this project were fitted out to a very high standard with aluminium protection. 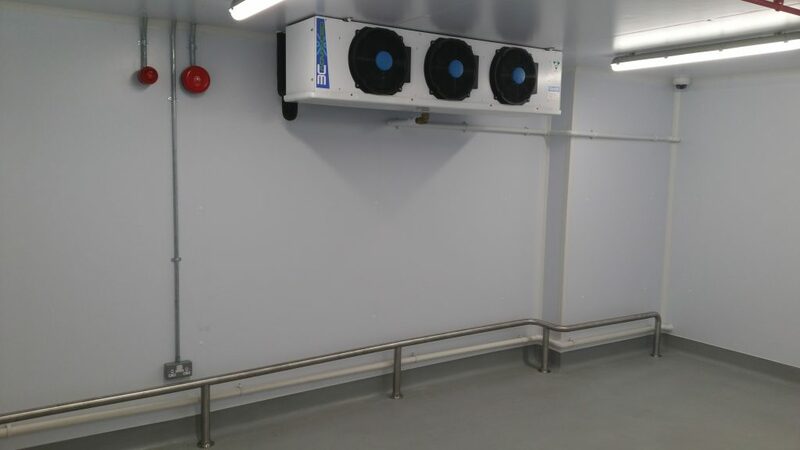 The refrigeration contractor subsequently fitted the rooms out with electrical and fire safety equipment, and heavy duty floor protection rail (which protects the walls from impacts) as can be seen from the images below. A Food Distribution Unit (FDU), Pharmacy Dispensing Unit (PDU), General Support Services Unit (GSS), Information Management Systems (IMS) and Diagnostics Imaging Department (DID), were all included as part of the works. Tangram / Rhatigan Architects collaborated on the project. 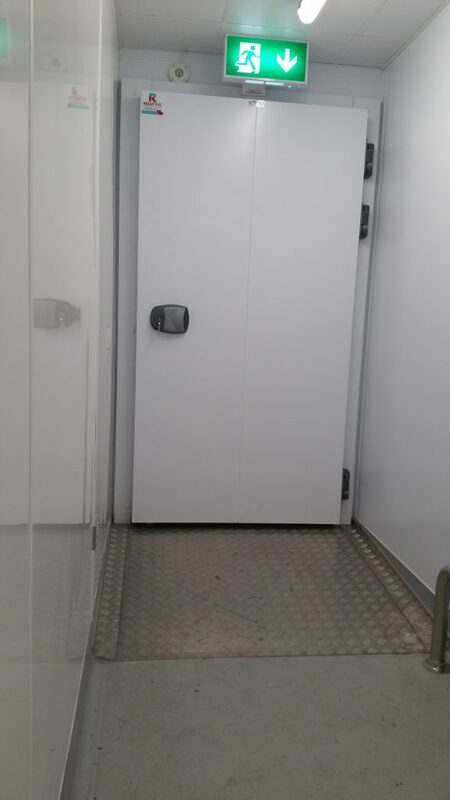 A number of Kilkenny Cold rooms were specified and installed as part of this fit out, including chill rooms and freezers. Room installation was by Kilkenny Cooling Systems. 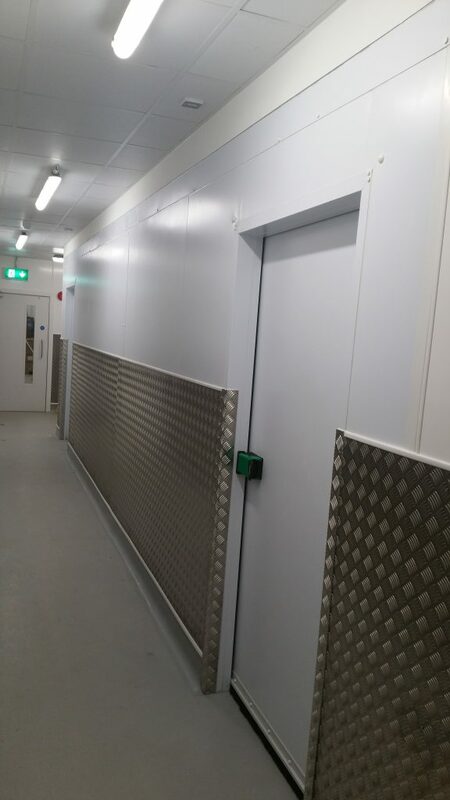 Another important aspect of these rooms were the ramps – custom built by Kilkenny specifically for this project – fitting the available space perfectly and fixed to the floor of the cold rooms for maximum durability and aesthetic design. The project reached completion in late 2016.